Previously, we had talked about how scientists have been able to mimic natural leaves with the artificial end product having the capacity of photosynthesis. Well, this time around, a collaborative effort from the researchers at US Department of Energy (DOE)’s Lawrence Berkeley National Laboratory (Berkeley Lab) and the University of California (UC) Berkeley has resulted in a more ‘collective’ solution. To that end, their newly contrived system can absorb carbon dioxide emissions before they are discarded into the atmosphere. This collected CO2 can then be converted by the very same system (powered by solar energy) into usable products like biodegradable plastics, drugs and bio-fuels. In statistical terms, atmospheric carbon dioxide is currently at its highest level in earth’s ecosystem in a period of at least three million years. The situation is even more exacerbated with our dependence on fossil fuels like coal. So, as solutions, scientists have tried in many ways to mitigate carbon dioxide before their escaping into the atmosphere – with trapping methods that involve polymers and chemical methods that entail turning carbon dioxide into usable by-products like calcium carbonate and methanol. But unfortunately, most of these carbon sequestering processes are still in their nascent stage with low yielding quotients. 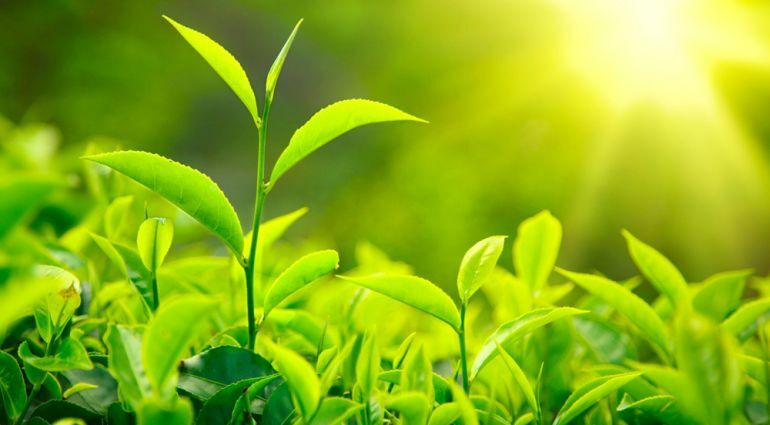 However, in this particular case, the researchers might have just achieved a breakthrough, with their advanced system mimicking the natural process of photosynthesis (the very same method by which plants make use of carbon dioxide). 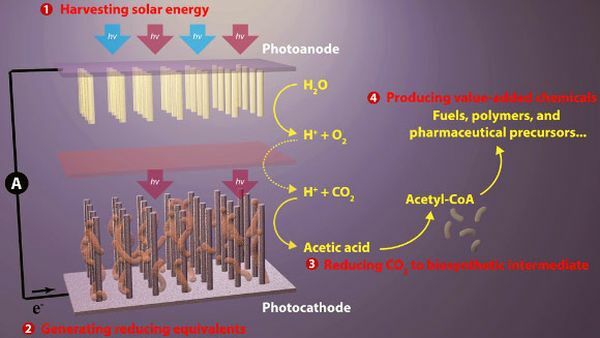 In that regard, the system in question is a hybrid contrivance consisting of semiconducting nanowires (capable of capturing light) and bacteria, and together they are able to synthesize the combination of carbon dioxide and water into acetate – a conventional building block used for biosynthesis. The result pertains to a high-yielding, versatile system that certainly passes with flying colors in the realm of sustainability. Our artificial forest is similar to the chloroplasts in green plants. When sunlight is absorbed, photo-excited electron−hole pairs are generated in the silicon and titanium oxide nanowires, which absorb different regions of the solar spectrum. The photo-generated electrons in the silicon will be passed onto bacteria for the CO2 reduction while the photo-generated holes in the titanium oxide split water molecules to make oxygen. In other words, the silicon nanowires are used as tiny solar cells for making use of the inducted light, which results in the releasing of electrons. The scientists then used an anaerobic bacterium known as Sporomusa ovata to accept the electrons (from the environment), and combines them with water to reduce the carbon dioxide into acetate. 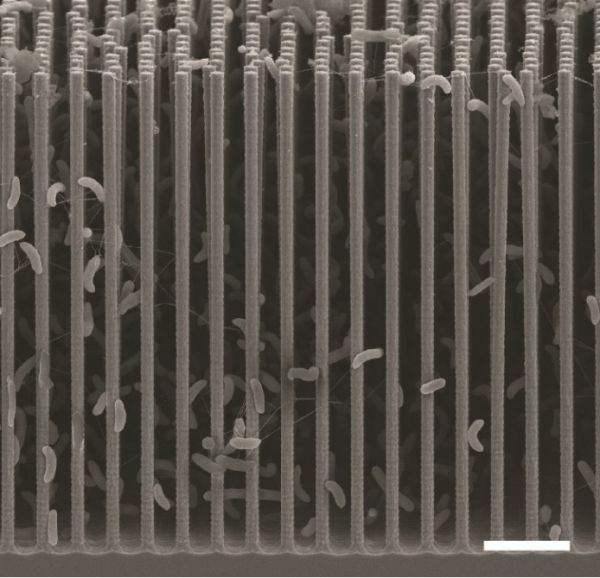 After this carbon dioxide reduction process, the researchers made use of genetically engineered E.coli that further reacts with oxygen (extracted from water by titanium oxide nanowires) to synthesize the various chemical products. We are currently working on our second generation system which has a solar-to-chemical conversion efficiency of three-percent. Once we can reach a conversion efficiency of 10-percent in a cost effective manner, the technology should be commercially viable.